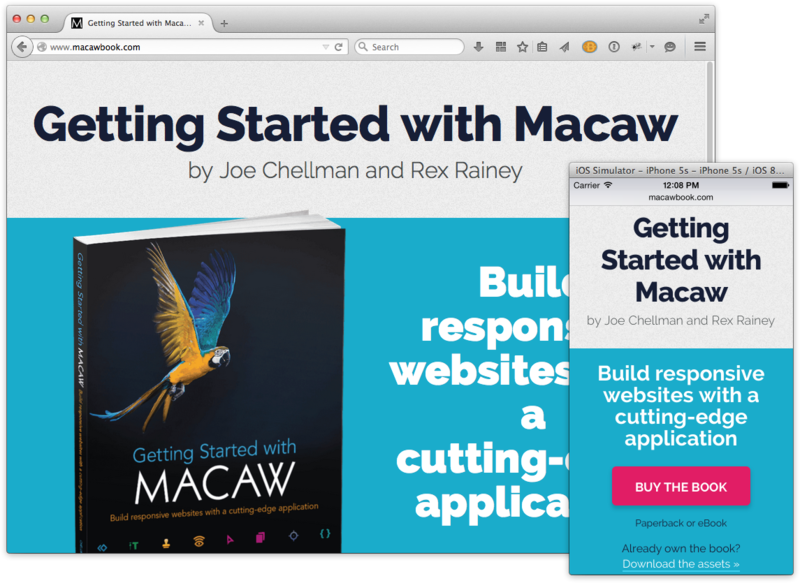 This is the website for our book Getting Started with Macaw. Rex Rainey, my co-author and friend, and I worked on this one together, and built it using Macaw. It's just a couple pages, but it illustrates nicely the kind of speedy, responsive markup the software can generate.